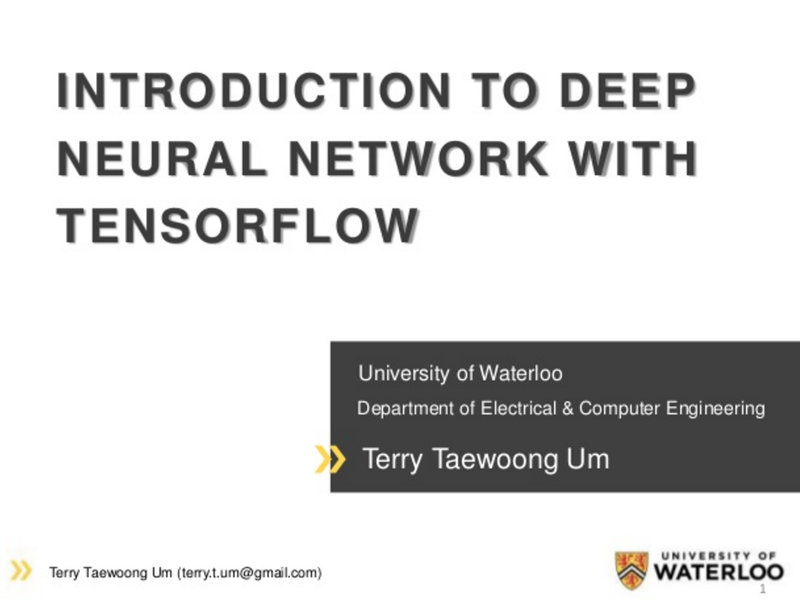 I made slides for introducing TensorFlow to beginners. The slides contain breif explanations for neural network and convolutional neural network as well as their implementations with TensorFlow. You can also find the example codes used in the slides from my GitHub repo. Feel free to download my slides(.ppt) and reuse them for your own presentation!